Welcome, and thanks for stopping by at best-ecig.co.uk! You’ll need to bear with me – this is the first website I’ve ever created so it’s all a learning curve. I decided to start best-ecig.co.uk after reading ANOTHER ‘great’ review of an e-cigarette on the internet, only to find out it was a piece of crap once it was in my hands and being used. A lot of the websites you come across – they’re cleverly engineered so that you believe what they say, and then buy the e-cig that makes them the most money. That’s what I reckon anyway. I had read so many ‘positive’ reviews on various electronic cigarettes and been disappointed by the actual product, that I had a little idea – I’ve tried plenty of e-cigs over the last few years I’ve been vaping. Why don’t I start a little website of my own? I employed the help of a friend I know that happens to know about such things and before you know it, best-ecig.co.uk was born! My goal for this website is to give REAL, HONEST, and GENUINE reviews on electronic cigarettes and e-liquids that I have ACTUALLY tried. No fluff, no crap, just every moment of my experience with the various brands documented so that you know exactly what you’re getting. I’m Kim. I’m 29 years old and I live not far from London. I’ve travelled around the world a little bit, and I’ve been lucky enough to try brands of e-cigs both this side, and that side of the pond. Some of the big American brands, I have discovered, you can even get over here in the UK! I talk about those on this site too. I’m just a normal girl that has tried far too many crappy e-cigs, and reckon that a lot of you probably feel the same. The highest rated reviews on my site are ACTUALLY my highest rated e-cigs. The bad reviews are of products that I ACTUALLY felt deserved a bad review. Plus I list all the reasons why. If you ever have any questions on e-cigarettes, feel free to give me a shout on Twitter. You can also post to the Facebook page. There are video reviews and how-to guides over on the YouTube channel, and I post the latest shots of the e-cigs I try on Instagram too! Why not take a peek? 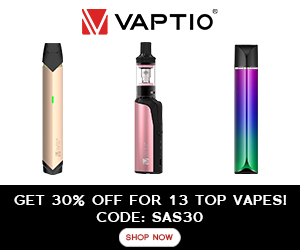 If you try the e-cigs I recommend on this site, feel free to come back and let me know what YOU thought of them. The whole point of this website was to tell the truth about electronic cigarettes, so tell the truth!